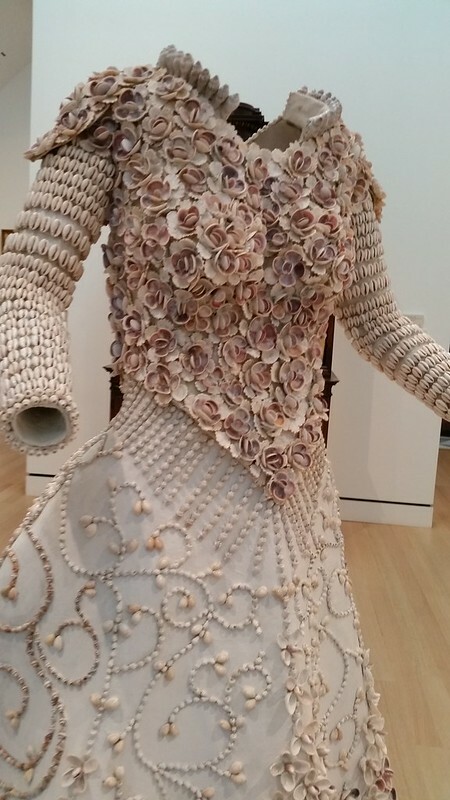 A dress made out of seashells and other natural elements. While visiting the Peabody Essex Museum, I stumbled upon this outfit. It's probably not my fit and not exactly my style, but it is pretty dang cool. I recommend clicking through to the Flickr page so you can better see the detail. It's made entirely of seashells, snail shells, and the like. I can only imagine the time, effort, and attention it took to craft this thing. It's part of why I like the museum so much is that it is often filled with such curious and fascinating exhibits. I find something new every time I go--and that's just with their regular exhibits, nevermind their specials.